I mean, it sure seemed like we won. But as we’ve learned this season, there’s really only one way to know for sure sure: WHAT DID SIRI SAY? Siri Sez via Kenny Smith. 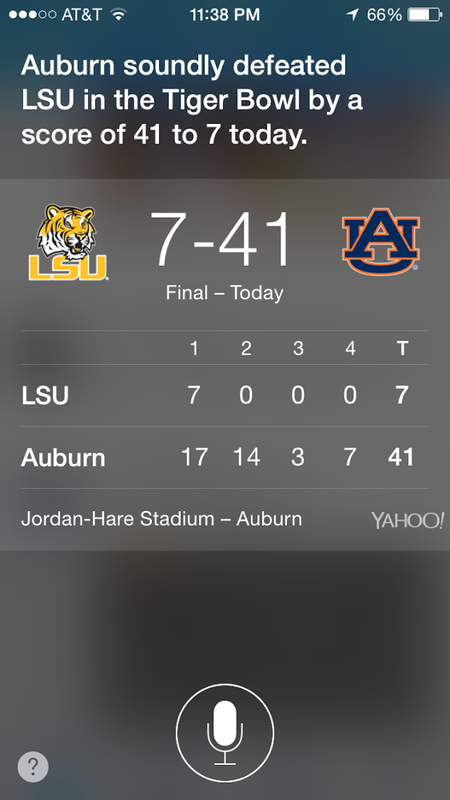 But I don’t care what Siri says—this whole “Tiger Bowl” thing someone is still trying to make happen should still not happen. 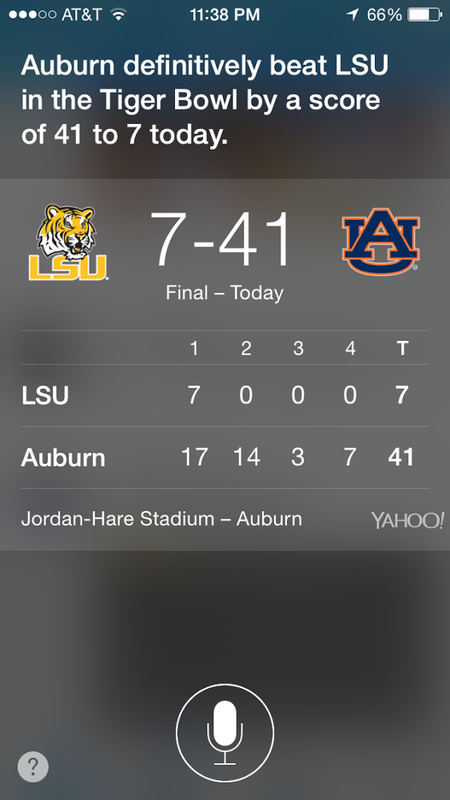 Related: Watch Ole Miss beat Bama in Jordan-Hare Stadium. 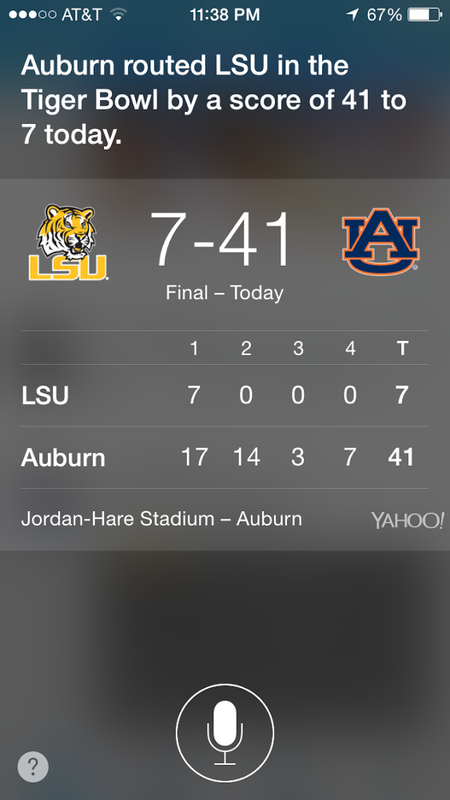 Siri told me Auburn “mauled” LSU.